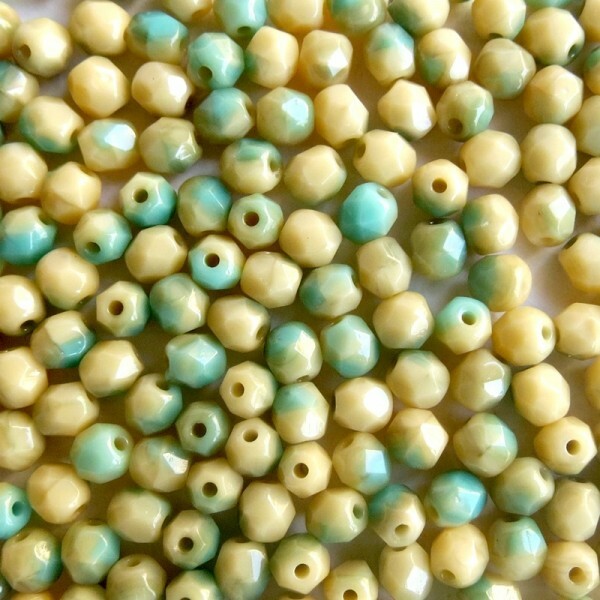 Czech fire polished beads, beige mint green, 4 mm, 60 pcs. 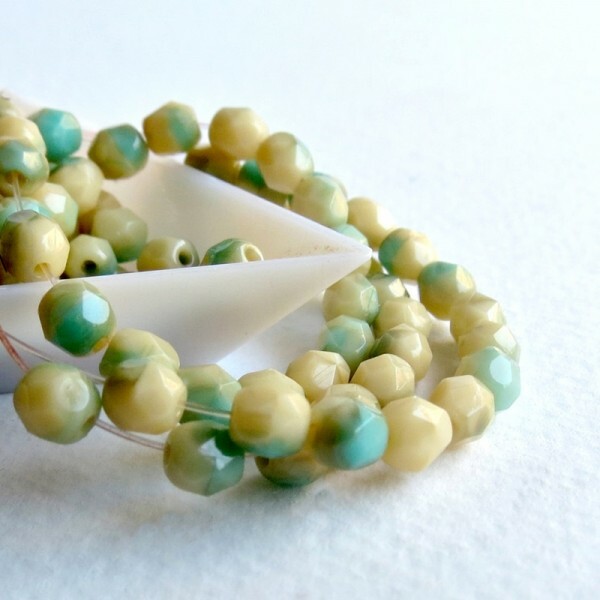 > Firepolished beads>Round 4 mm>Czech fire polished beads, beige mint green, 4 mm, 60 pcs. 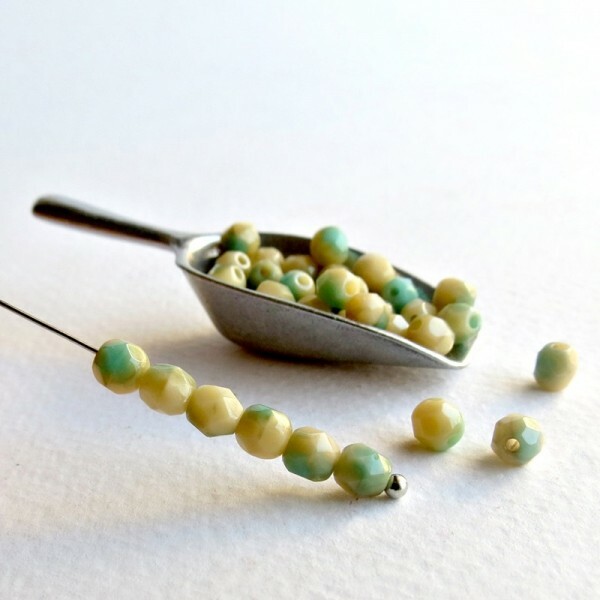 Color - bicolor combination of opaque beige and mint green.